The Saint Patrick Award has been given since the advent of the St. Patrick dinner by the New York City’s Saint Patrick’s Day Foundation to honor individuals for outstanding contribution. 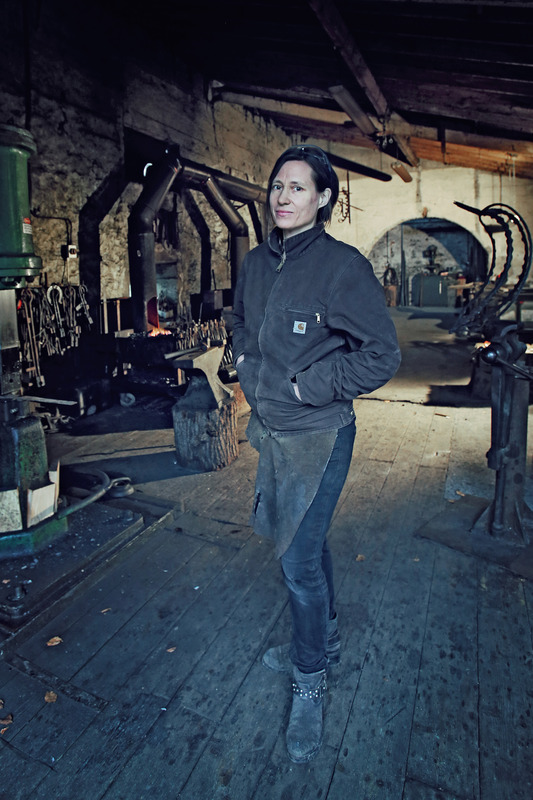 In 2016, the award took its permanent aesthetic form in the deft hands of sculptors Michael Calnan and Gunvor Anhoj: iron swans, hand-wrought in Ireland. They are finished with 22-carat gold leaf and set on Connemara marble. ‘The Saint Patrick’ for the Grand Marshal is hand forged from solid golden bronze. In Irish mythology the swan signifies resurrection, change, spring, birth, renewal, light, love, and fidelity and is at the heart of many Irish myths – the ‘Children of Lir’ being the most famous. Husband and wife team Michael Calnan and Gunvor Anhøj have forged a small business with a big reputation from iron, steel and bronze since 2001. The Calnan Anhoj Forge & Gallery is set in the historic surroundings of County Wicklow’s Russborough House – and this is where the couple create ‘The Saint Patrick’. As Irish-based artists, Michael and Gunvor are deeply appreciative of the opportunity to be part of such a prestigious event, especially one with such deep and enduring cultural ties to the country in which they live and work. 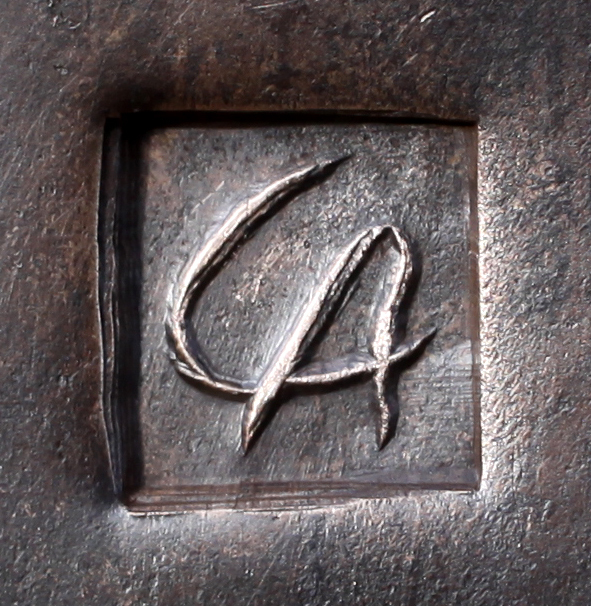 Having won numerous awards for their work Calnan & Anhoj are accredited by The Royal Dublin Society, The Worshipful Company of Blacksmiths and the Mill Cove Gallery for sculpture of distinction. Their work is held in collections of the Irish Design & Crafts Council as well as the Office of Public Works & Department of Foreign Affairs Ireland. Commemorating the hundredth year since the Easter Rising the 2016 Grand Marshal Senator George Mitchell was honored for his outstanding contribution to negotiating peace in Northern Ireland. Americans who championed significant change in American policy, thereby paving the way towards peace were also recognized: Christopher Hyland, Niall O’Dowd, Bruce Morrison, Charles Feeney and William Flynn. John Fitzsimmons, may he rest in peace, received a St. Patrick Award in recognition of his outstanding service to the St. Patrick’s Day Parade. 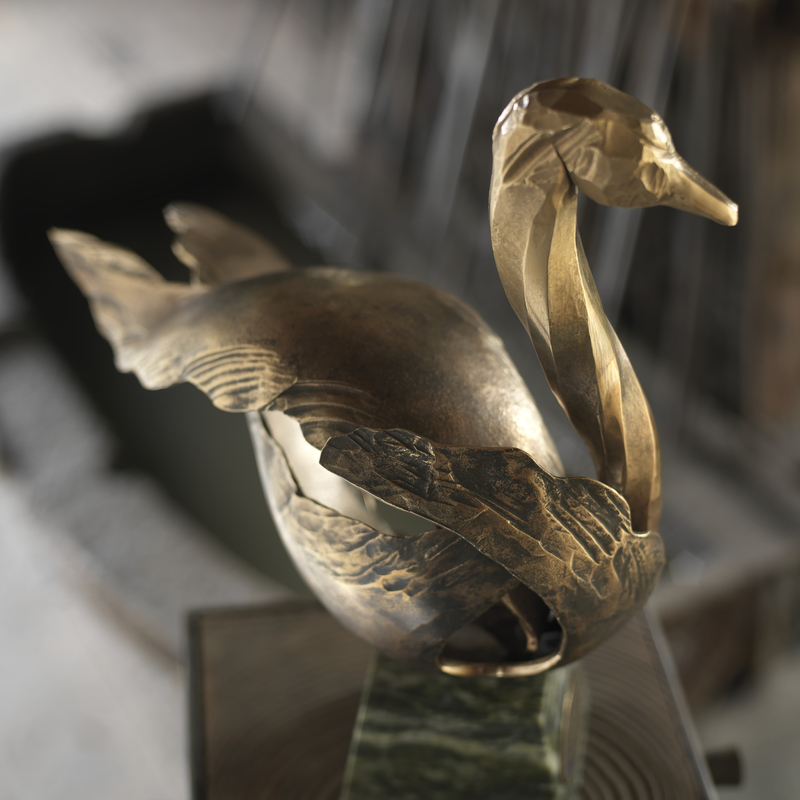 ‘Having visited a good number of the greatest museums in the world, this swan moves me emotionally so very much. You are truly National Irish artistic treasures. St. Patrick is a flawless example of human artistry at its very highest, an ideal. Alex Lieberman made a very strong point to me that if you do not see balance in art – even in that that is irregular – it cannot move the soul. Your Swan – the St. Patrick Swan – moves us profoundly. I feel that at any moment it will take flight so infused with life is your hand wrought iron.’ Christopher S. Hyland, New York, 2016.